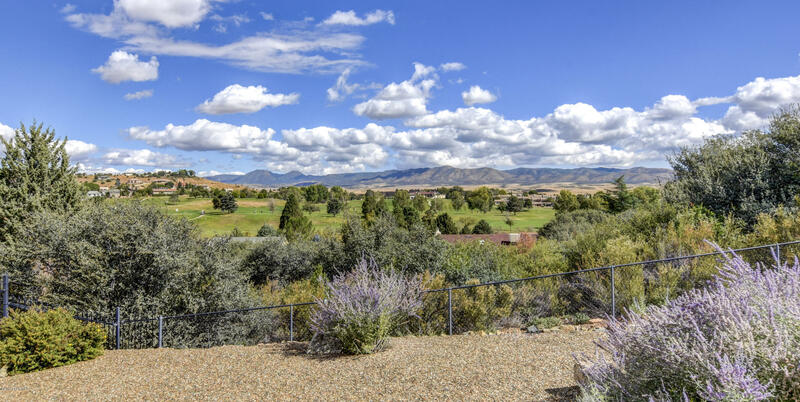 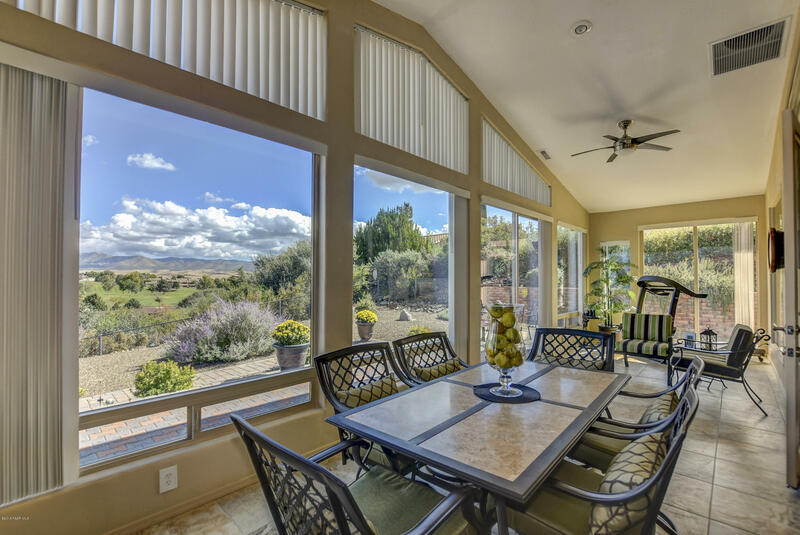 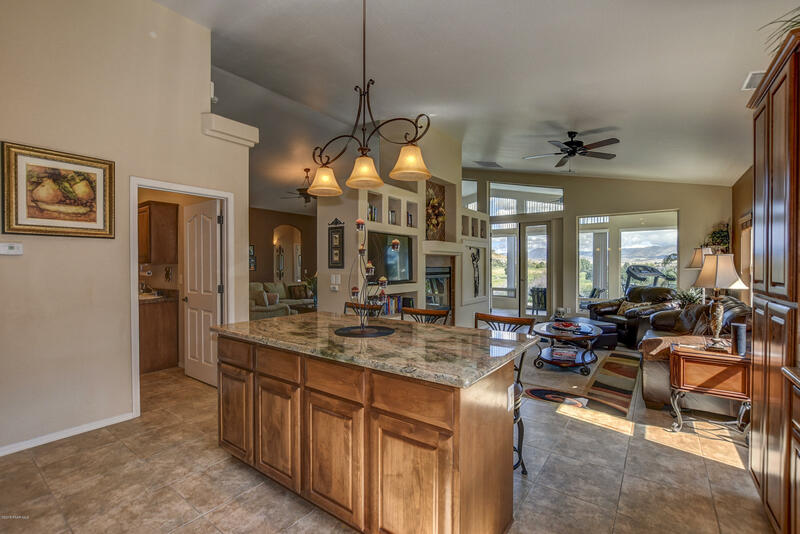 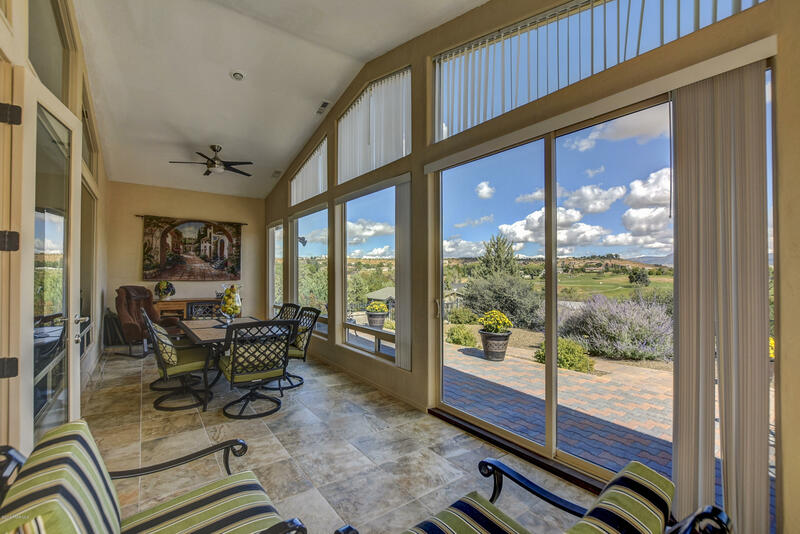 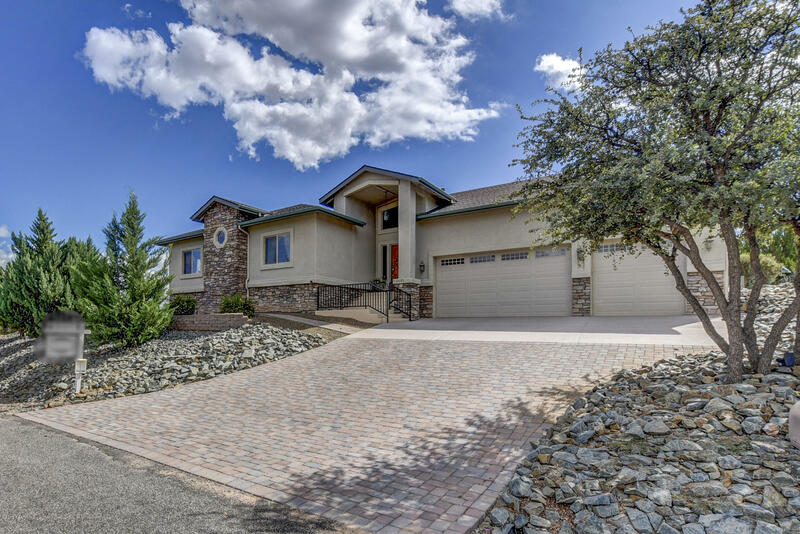 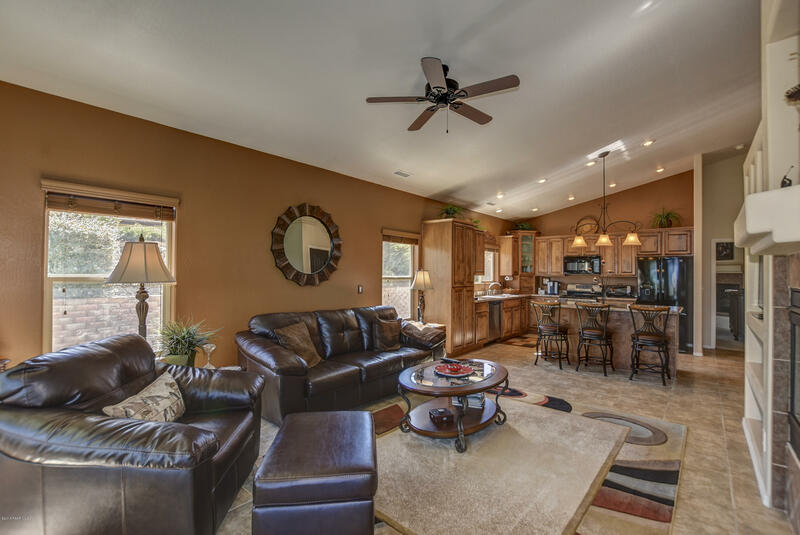 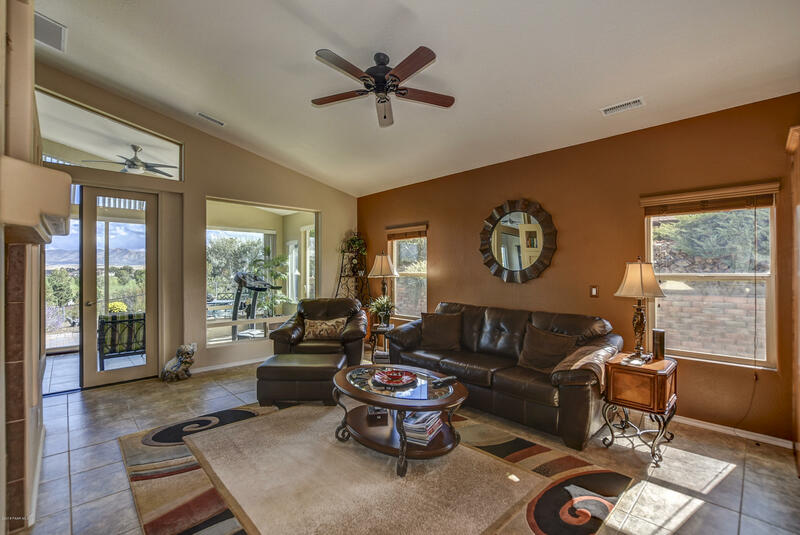 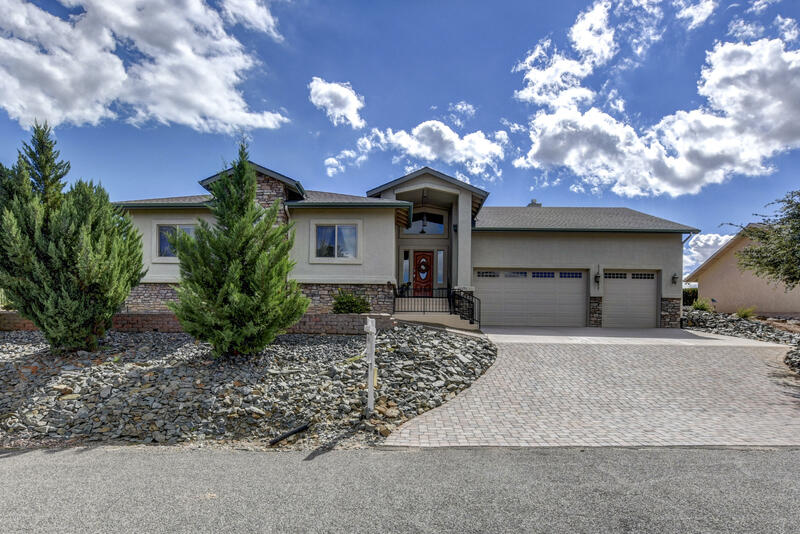 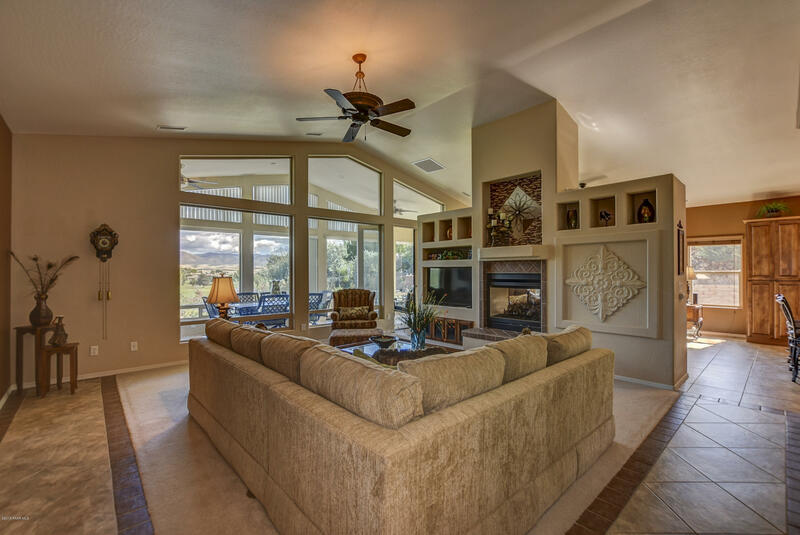 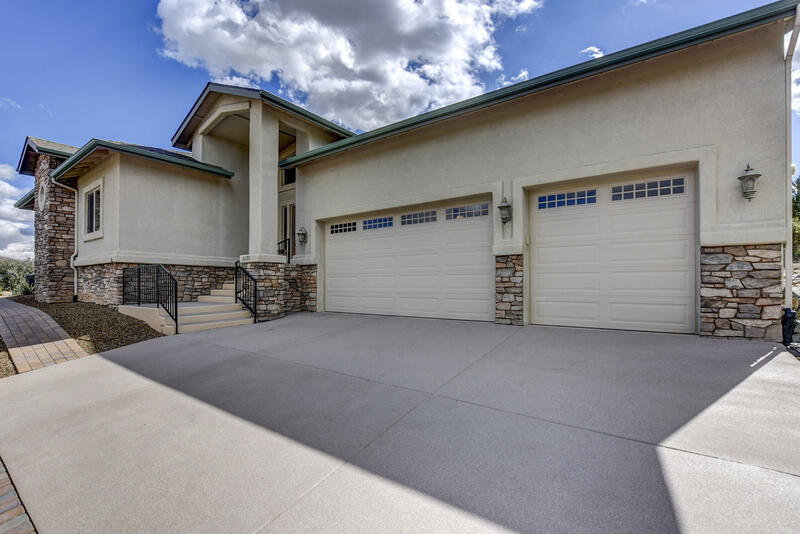 Fabulous Custom Built Home With Stunning Mountain and Golf Course Views! 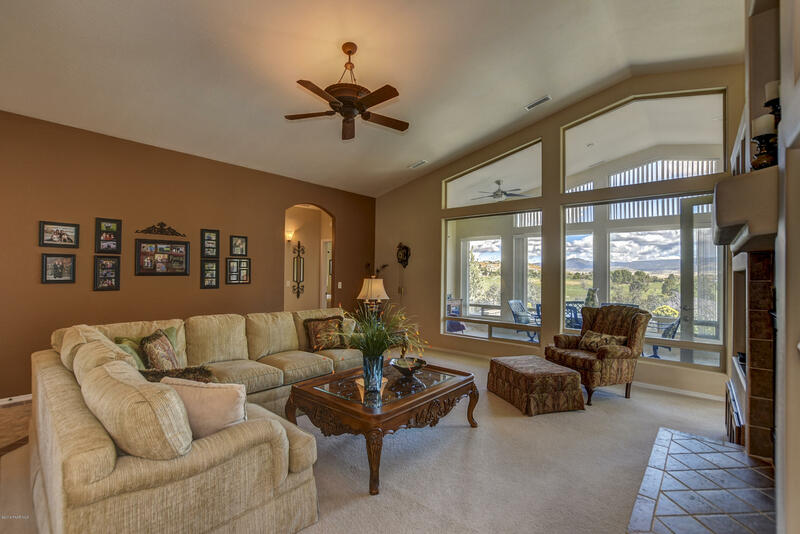 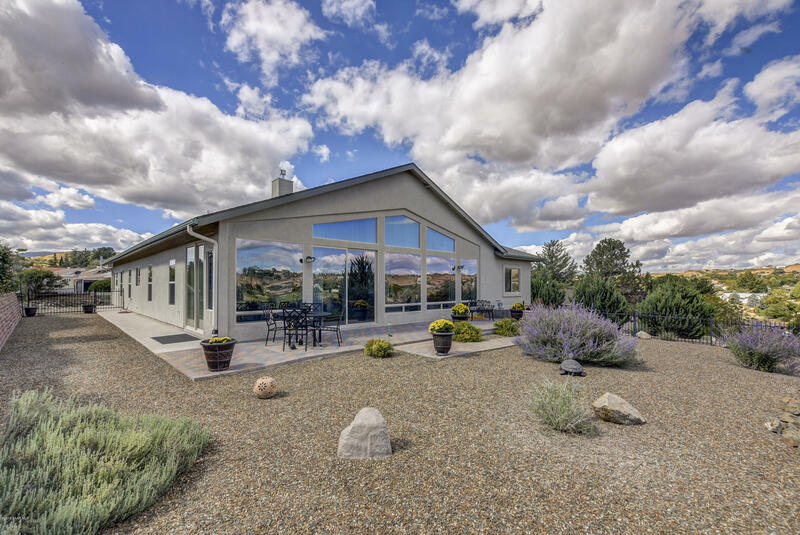 This property features a large great room with gas log fireplace and has wonderful views out the back. 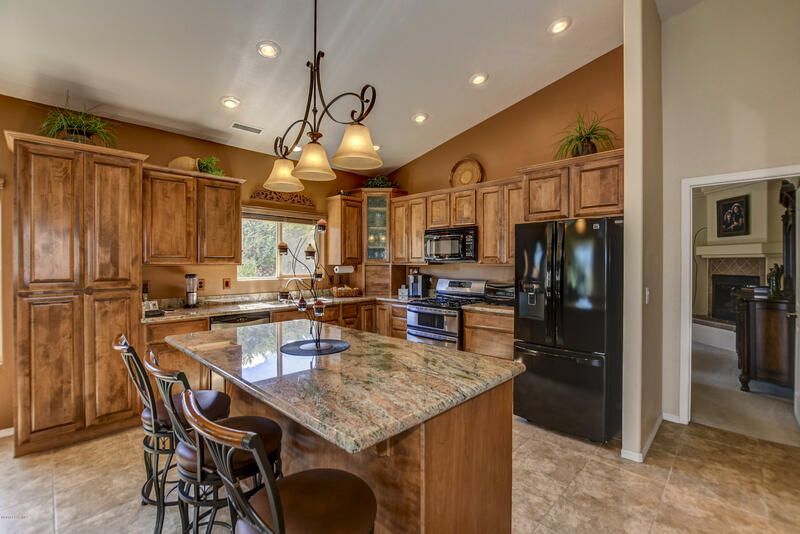 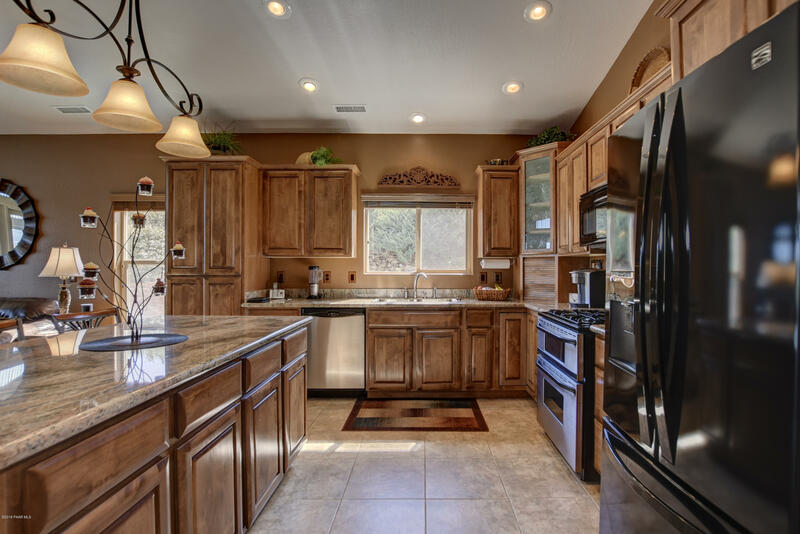 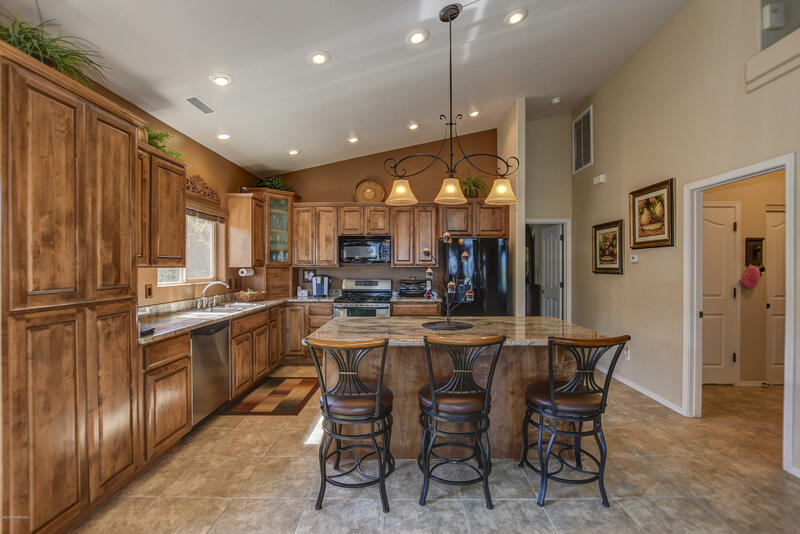 The kitchen is custom with Knotty Alder cabinetry, island, granite countertops, and a gas range/oven. 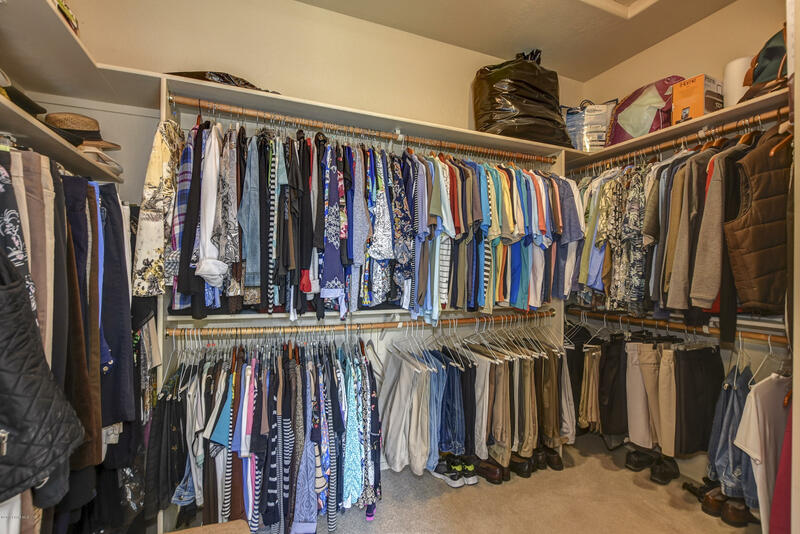 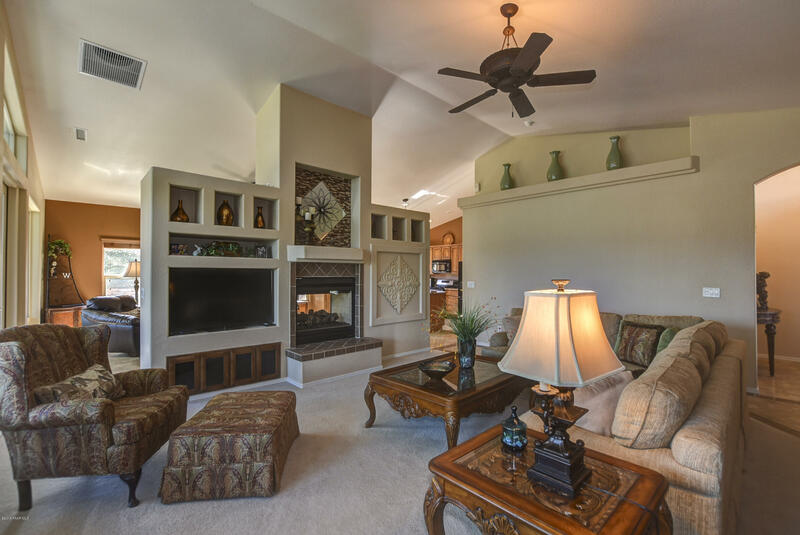 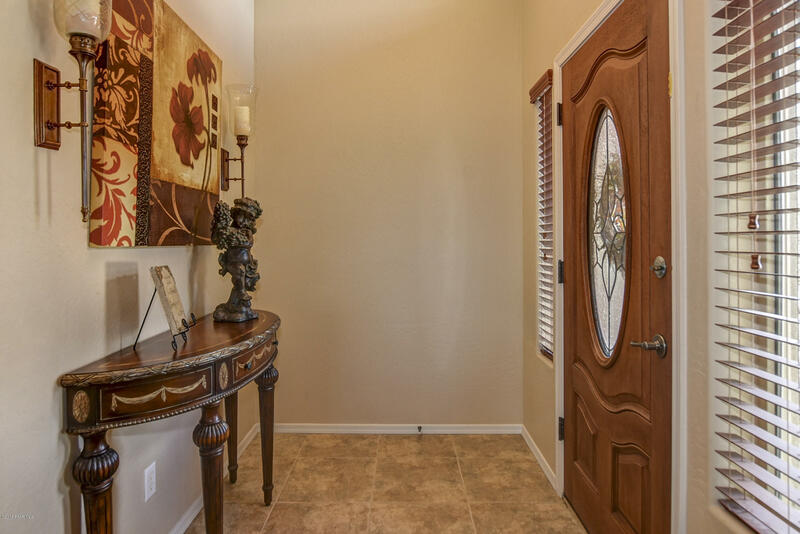 There is a great area that is either a family room or a formal dining room. 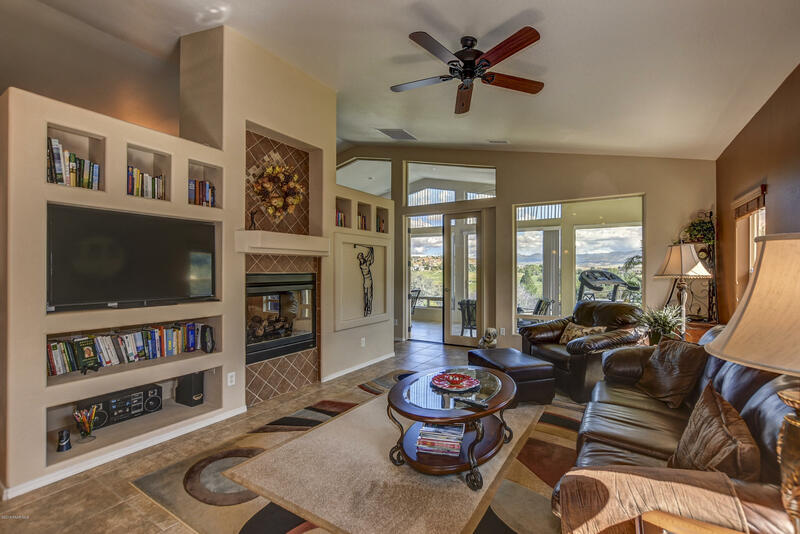 The arizona room boasts unbelievable views of the Mingus Mountains and the golf course. 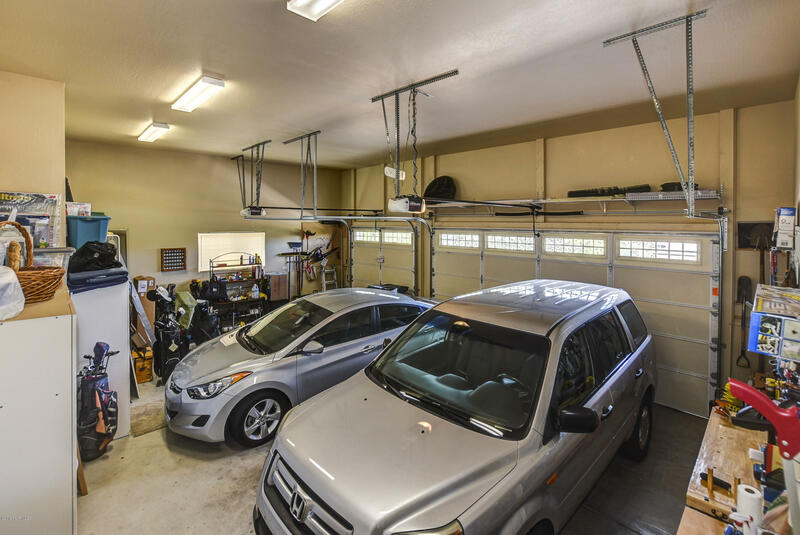 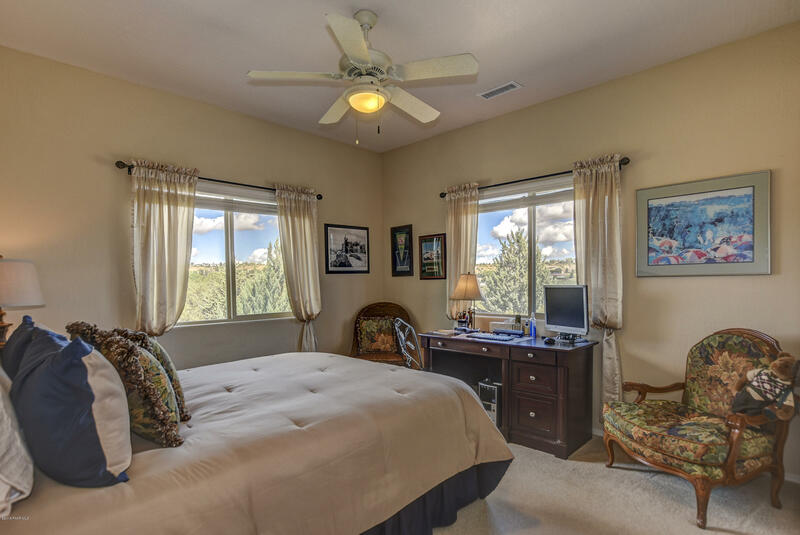 The home features a split bedroom arrangement and is in impeccable condition. 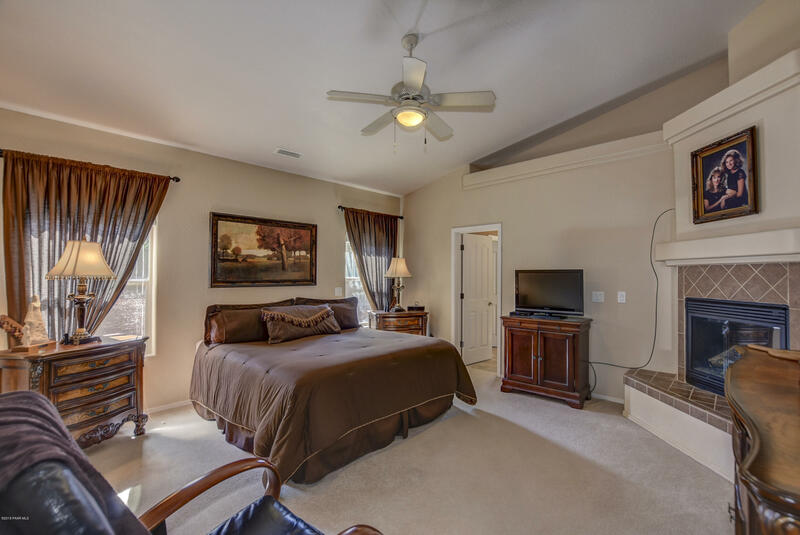 The master suite features a gas log fireplace, walk in closet and a separate jetted tub and shower. 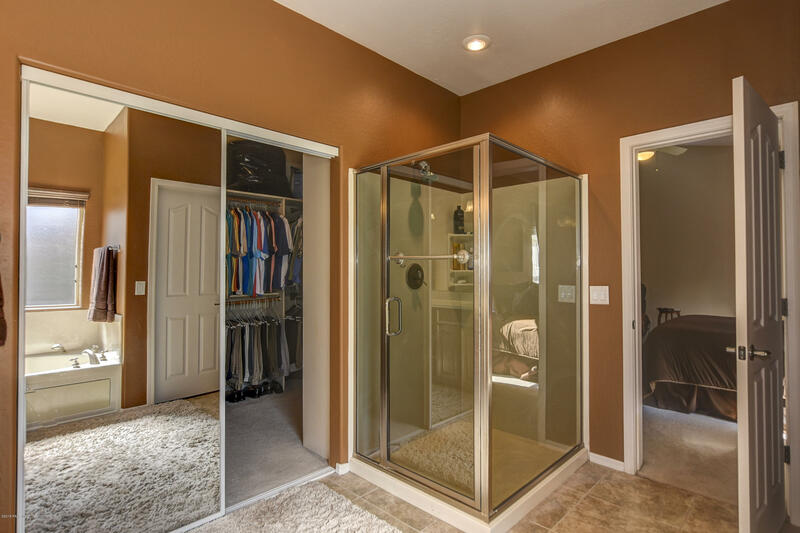 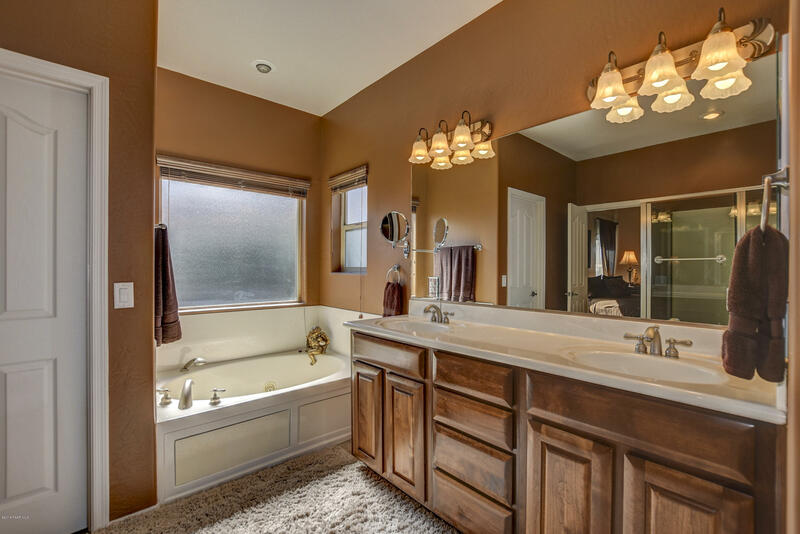 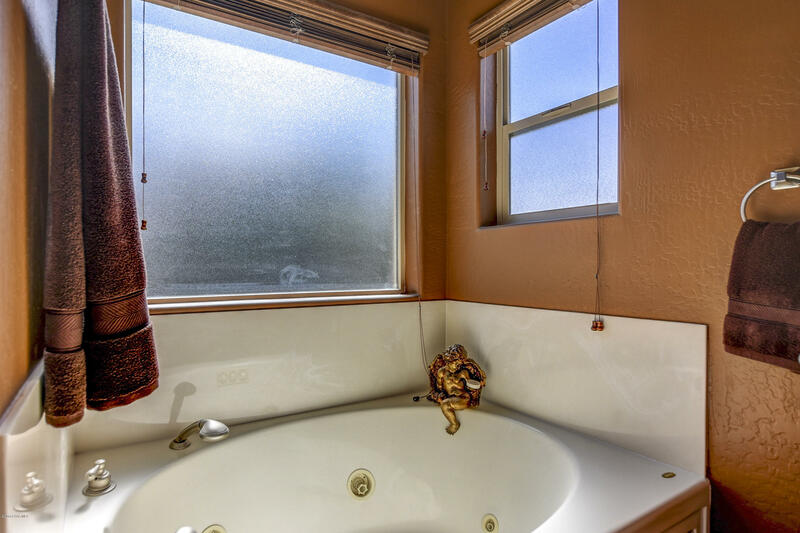 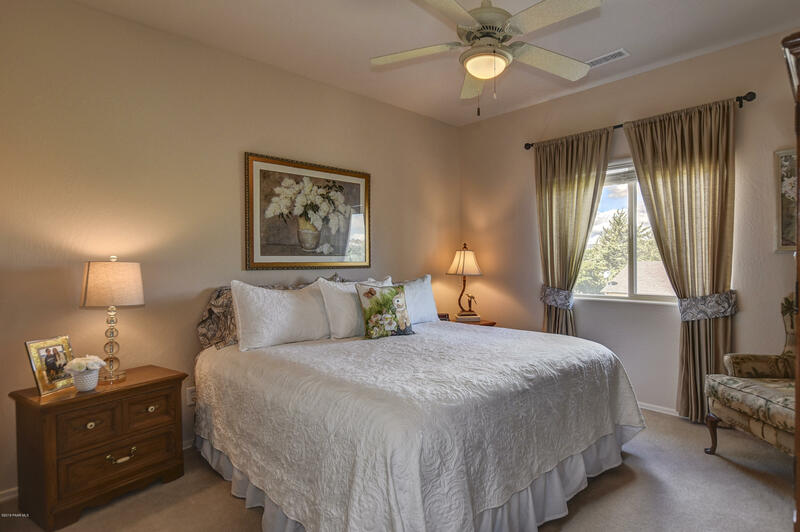 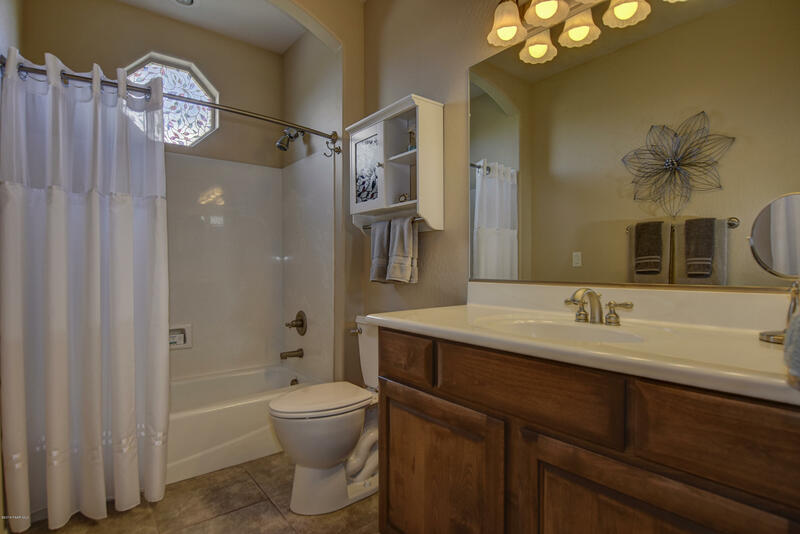 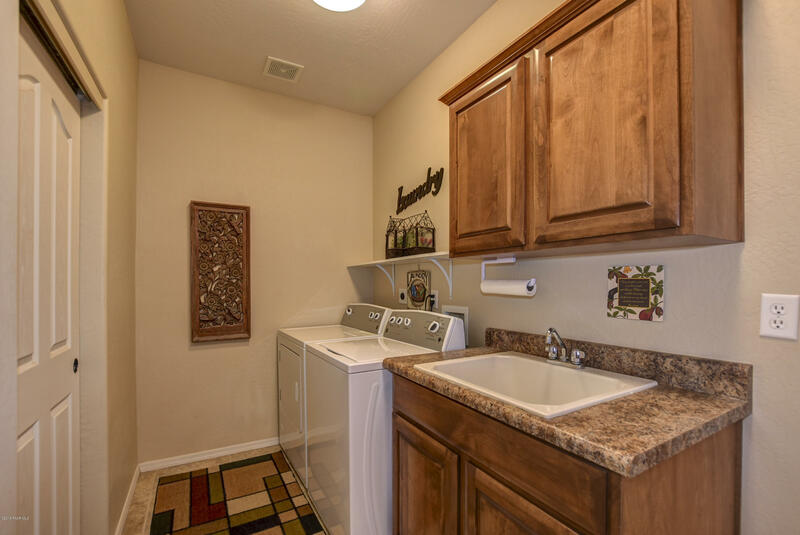 There are also two large guest bedrooms with an oversized guest bath. 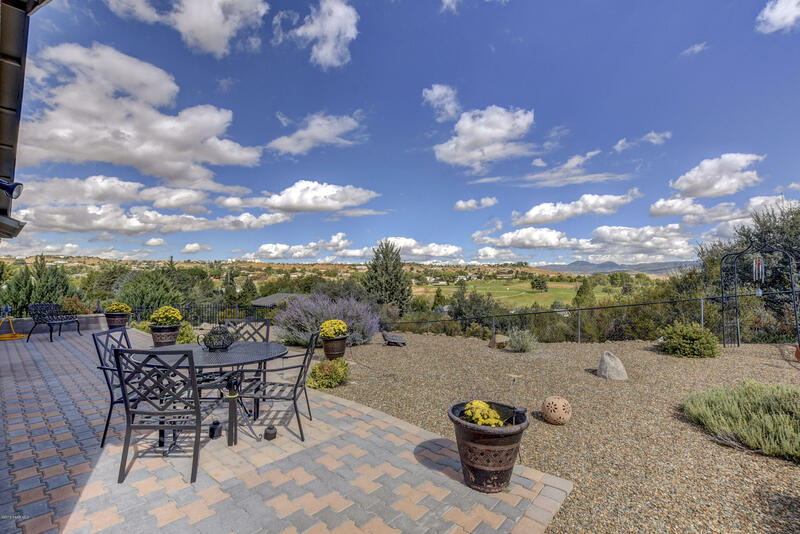 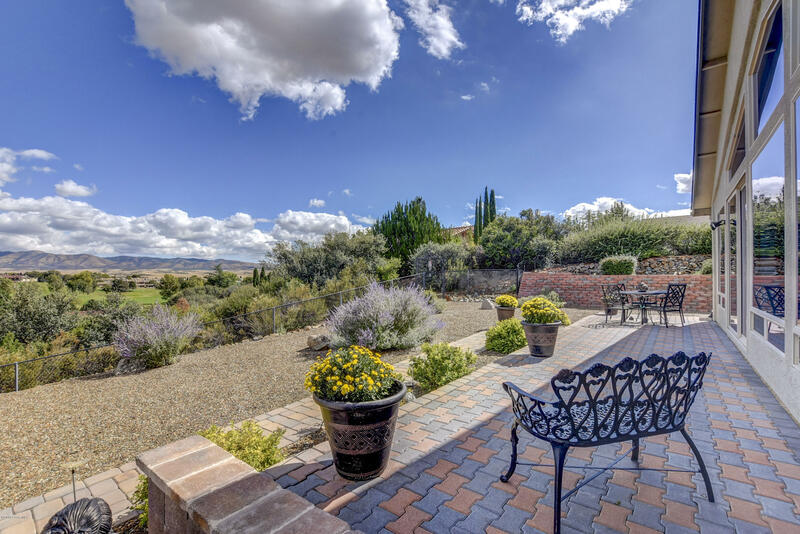 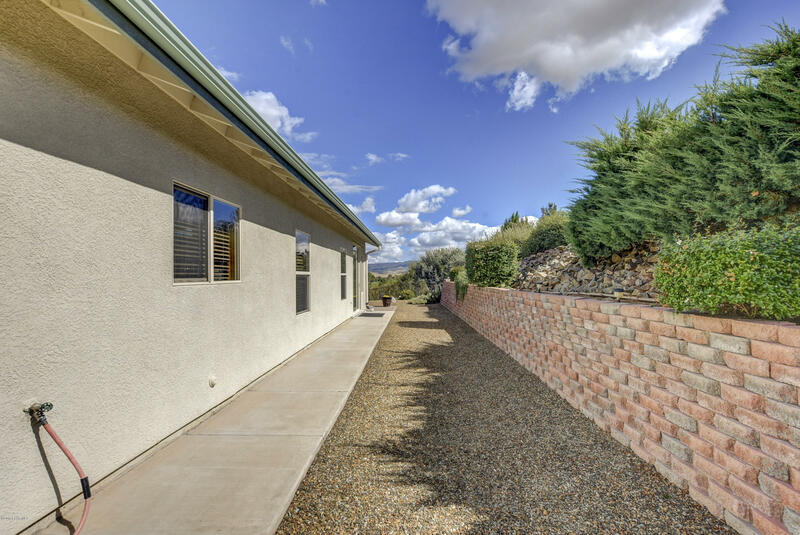 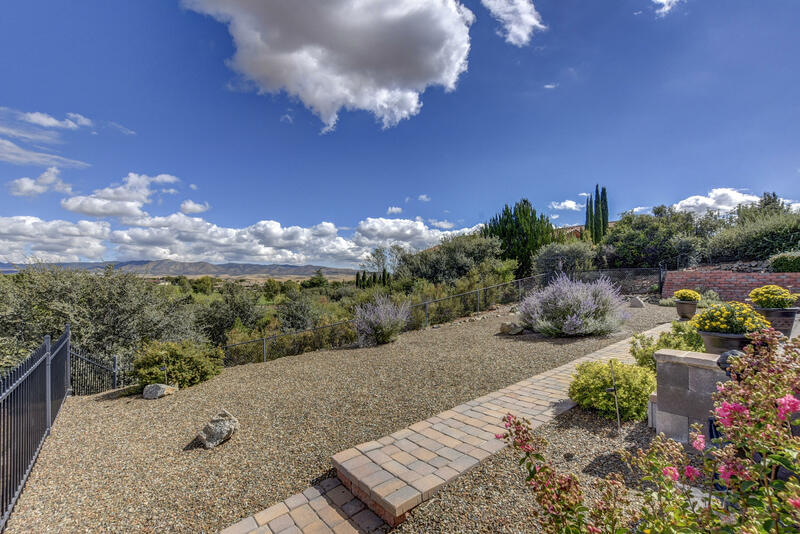 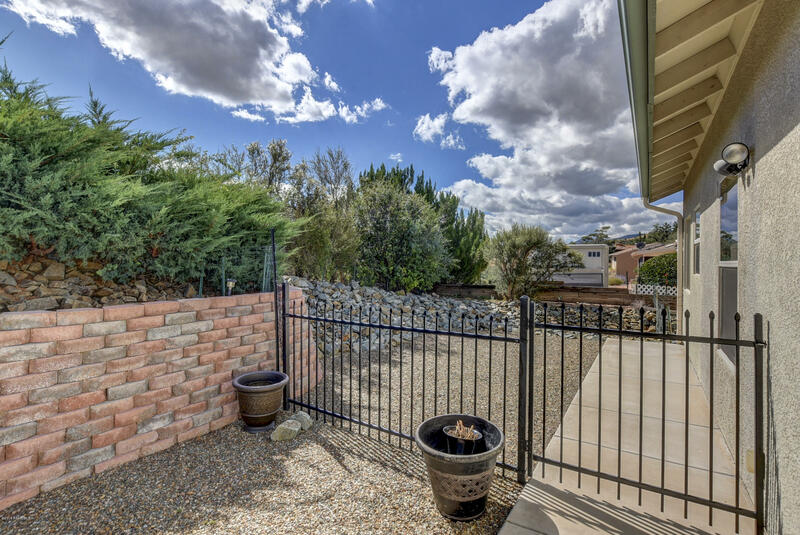 The back yard is fenced and features a wonderful paver patio to sit and enjoy the beautiful views.